Cryptopay FAQ: how to buy bitcoins? what is crypto card? etc - How do I top up my C.Pay Prepaid Card? All Categories › C.Pay Prepaid Card › How do I top up my C.Pay Prepaid Card? C.Pay card is a prepaid card so you need to top it up first in order to be able to use it. Once you have funds in one of your Cryptopay wallets, click Load on your Accounts page. On the next page select a wallet to fund the card. You can top up your card from one of your Accounts (Euro, US dollars, Pound Sterling, Bitcoin, Ethereum, Litecoin and XRP). 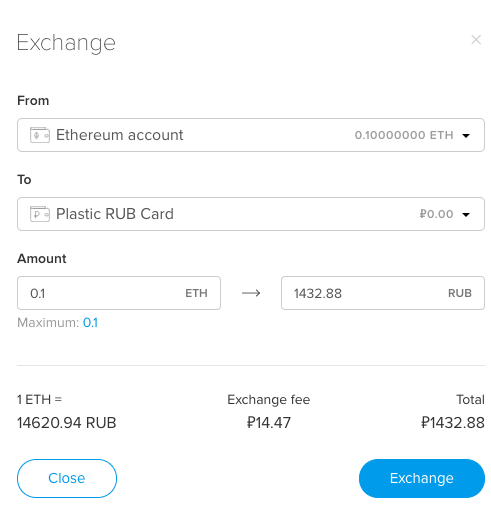 Please note that apart from the loading fee of 1%, the currency exchange fee of 1% applies if you load the card from the wallet not in your card's chosen currency. Make sure you don't exceed your card's load limits.